We had an excellent turnout at this event exceeding last year’s total attendees by over 300%. Attendees where from multiple departments and from several buildings across campus including the new Bio-engineering and Science building. 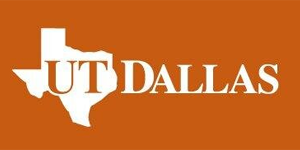 The University of Texas – Dallas campus is a Tier One research university focusing on a wide variety of interdisciplinary research areas. This will be our 5 Annual Research Product shows. Attendees included researchers in the area of Cell Biology, Molecular Biology, Neuroscience, Nanotechnology and Biochemistry.